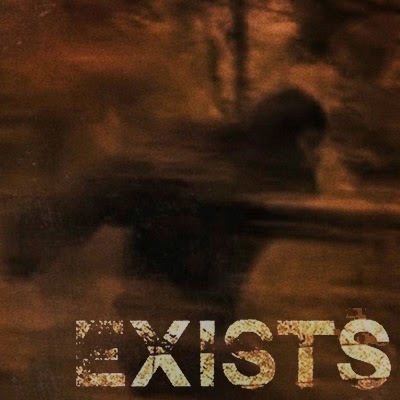 Exists, by director Eduardo Sanchez, is the Bigfoot movie that the film community has been waiting for. It will be screened at this years SXSW 2014 Film festival in March during the coveted midnight showing. Drew McWeeny from HitFix says, "When I attend Toronto, Sundance, and SXSW each year, one of the things I specifically focus on is the midnight programming." In Drew McWeeny's HitFix article, he continues to mention how he looks forward to the screening of Exists, "Another familiar name. Eduardo Sanchez is, of course, best known as the co-creator of "The Blair Witch Project," but I think he's made a strong showing in the last few years. "Lovely Molly" is a film that really stuck with me, and I think he's got a great sense of creepy these days, plus he's constantly thinking about the role technology plays, not only in how we tell these stories, but in which stories we tell. Plus it sounds like this is a Bigfoot movie, and that's fine by me." On the SXSW website Eduardo Sanchex is interviewed regarding his movie. Tell us a little about your film. I've been obsessed with Bigfoot ever since I saw the Patterson-Gimlin film as a kid. It was the SCARIEST thing I had ever experienced. It fascinated me and took over my world. But a movie where Bigfoot felt scary and REAL - like the Bigfoot that I experienced all those years ago. Not a comedic Bigfoot. Not a fake-looking, CG Bigfoot. Not an alien Bigfoot with super human abilities - just the creature I loved - a feature-length PATTERSON-GIMLIN film. Exists is the Bigfoot movie I've been waiting to see. I saw Star Wars and that was it - I wanted to make films. But I didn't really take it seriously until high school, where I took a TV production in 11th grade that changed my life. Have you been to SXSW before? Any tips? Yes - I was at SXSW for Lovely Molly in 2012 and VHS2 in 2013. Tips - figure out how not to drive into the downtown area during the day - it's tough love. Most looking forward to - the filmmaker's lunch that Robert Rodriguez hosts every year...and the BBQ. Tell us a random fact (or two!) that would help our attendees get a better idea of who you are. I am probably the tallest Cuban-American filmmaker at this year's festival. You can read about the Exists' innovative creature design, Watch exclusive clips and stills from Exists, or just click read our complete coverage of Exists. For an extra bonus, you can even watch this excellent Eduardo Sanchez interview by Ro Sahebi from MuldersWorld.. Ro and I have some exciting stuff coming round the bend so stay tuned. I came into this with a whole bunch of preformed opinions and I was going to help you all out and solve this problem right off. what happened is I learned a lesson in humility....I have still got a lot of the knowledge I believe is true but now I'm not going to push it on anyone. thanks for the lessons and the friendship. just remember an opinionated old woman can sometimes be helpful...some of the monkey suits really tick me off but the rest is fun and useful. he's out there and we'll prove it soon.